Are you looking for the stocking stuffer for your girlfriends, aunts, cousins, or besties? Women love makeup and that is why gifting makeup is one of the easiest things to do. What’s even easier is when you get a full face of makeup for under $20. That’s why the Pocket Palette is the perfect stocking stuffer for the busy woman on the go or travelers. It is cruelty free and made in the USA. 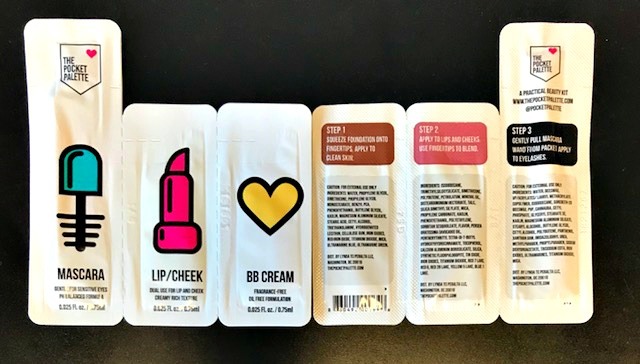 3- BB Cream or Foundation in 4 shades (light, medium, tan, and dark). 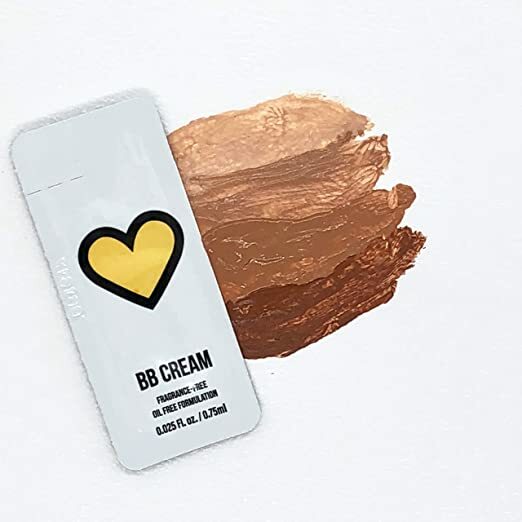 BB Cream is an all-in-one product for the face. It has the benefits of a serum, moisturizer, primer, and foundation. It can be worn alone as a tinted moisturizer, over serum and moisturizer as a sheer foundation, and under powder, depending on the desired amount of coverage. Pocket Palette is sold on Amazon here and on their website here. It costs 3 for $11.99 or 10 for $34.99. Portable and Small – Not only is the Pocket Palette portable, but it is also small. That means you do not have to lug around your makeup bag everywhere you go. The palette is small enough to to fit in your bookbag, purse, phone protective carrier, and even in your pockets. Covers all the basics that you need for a simple full face of makeup. If you do not have a lot of time, this a great way to still able to still look good with just a few items. Affordable – Unlike many makeup palettes, especially the holiday makeup palettes that can cost an arm and a leg, the Pocket Palette is cost efficient for a stocking stuffer. Instead of one lip gloss or getting your bestie their favorite mascara, give them the Pocket Palette so they can get a full makeup look. Never be without your makeup again because it got damaged, lost, or you forgot it.